Features jump–through openings, pop ups, log jams, squeeze walls and crawl tubes! 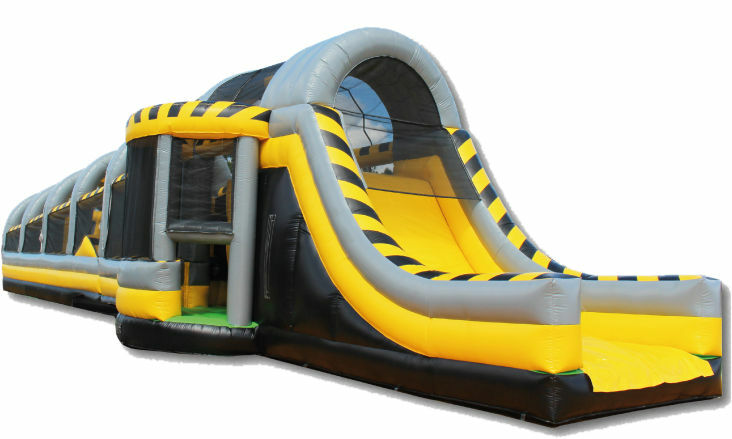 The three–piece Ultimate Module Challenge brings together a double–lane slide with tunnel exits and a pair of L–shaped obstacle alleys for hundreds of obstacle course designs. The name says it all. Offers players 7 obstacles to test their skills. Jump, climb, squeeze, vault, drop, balance and slide as you pit your speed and strength against your opponent.